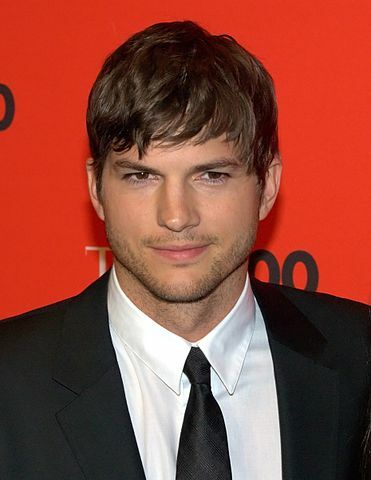 Ashton Kutcher was born in Cedar Rapids, Iowa, United States on February 7, 1978, is an American actor. Young Ashton Kutcher began his career as a model, modelled in Paris and Milan. He began his acting career in role as Michael Kelso on television period sitcom That '70s Show (1998-2006) with Mila Kunis. He made his big screen debut in the romantic comedy movie Coming Soon (1999) in role as Louie. Ashton's breakthrough performance came as Jesse Montgomery III in mystery comedy movie Dude, Where's My Car? (2000), opposite Seann William Scott and Jennifer Garner. Ashton won the Fresh Faces of Iowa modeling contest in 1997. He played Walden Schmidt on the CBS sitcom Two and a Half Men (2011–2015). His first produced TV Show was MTV reality television show Punk’d (2003). He is a big fan of Chicago Bears. He was married to actress Demi Moore (2005-2012). He married actress Mila Kunis in 2015, they have a son and a daughter. I could never be with a woman who felt like she needs to change me. Acting can be so much fun that it's easy to forget that what you're doing is a job. But if I've got my tie on, I'm going to work. I would say probably my most alpha quality is my competitive nature. I'm very competitive, and it tends to bring out very much the man in me. I guess I really haven't thought much about winning an Oscar, but if I had the opportunity, I'm sure I would like it. When I was on the '70s Show,' I had that and I had 'Punk'd' and I had my own production company. That pretty much sealed up all my time. The most amazing thing about having a baby is my partner, Mila. She's the greatest mom, I go to work every day and I come home and she's like perfect.